Coriander, also known as cilantro or Chinese parsley and Dhaniya in India, is an annual herb in the family Apiaceae. Scientific name Coriandrum sativum, popularly called cilantro, Chinese parsley, European coriander or dhania in India, is an annual herb of the opiate family). It is the only species of the genus Coriandrum, which is also the only member of the Coriandreae tribe. Let’s see some of the amazing health benefits of cilantro. Benefits of Cilantro: In China, cilantro is used to treat stomach disorders, and the leaves are chewed to combat bad breath. These uses of coriander make a lot of sense, as a study from the University of Beira Interior in Portugal revealed that a solution of 1.6% or less of coriander oil (seeds) was enough to significantly reduce or eliminate bacteria. In the Middle Ages, it was used as an aphrodisiac. With the cardamom, clove, ginger and cinnamon, mainly, a drink was made called “Hipocrás”. Coriander seeds are also used as a common spice and often replaced with coriander leaves in meals. It can also be used for preparing drinks and tea which aid in fat loss. Both the leaf and seeds of this common herb are powerful natural diuretics that detoxify the kidneys, liver and tissues, reducing bloat and water retention and helping you to lose weight fast. They contain constituents that help stabilize blood sugar and lower high blood sugar, thus giving it the nickname “the anti-diabetic herb”. Through providing concentrated nutrition without a lot of calories and possibly helping you to better absorb and assimilate the food you eat, cilantro may support a balanced approach to weight loss. Coriander leaves encourage digestive system and also help in eliminating constipation. At the same time, it helps in curing diarrhoea. Lemon in warm water is actually a miracle drink that supplies you with massive energy throughout the day. Coriander leaves have high contents of antioxidants and help in digestion. Lemon with warm water, being a great combination for losing belly fat, it helps in weight reduction. 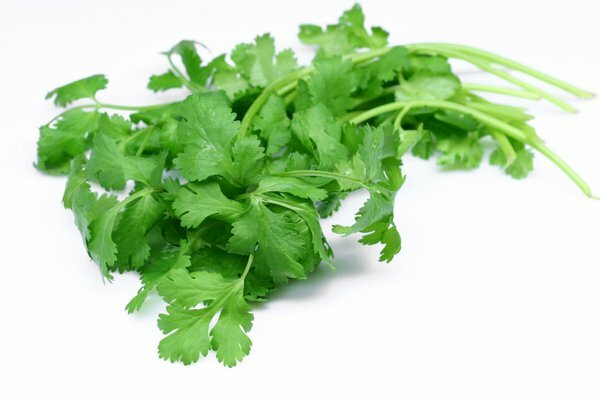 Coriander leaves aids in burning all fat accumulated all over the body. Among the properties of cilantro stands out that it is rich in oils that act on the digestive system, which stimulates the appetite and relieves irritation. Coriander also has a lot of vitamins, particularly vitamins A and K but it also contains enough vitamin B, vitamin C, and vitamin E.
All parts of the plant are edible; However, it is the fresh leaves and the dried seeds the ones of more frequent culinary use. The fresh leaves are an essential ingredient of the chat, nor of the Mexican green sauce and guacamole. Chopped leaves are also used as an ornament, added at the end of cooking or just before serving, on soups and other dishes. Health Benefits of Cilantro Fruits: The fruits of cilantro are generally used dry. They give off a citrus scent when crushed or crushed. They are used for seasoning and are indispensable in Indian cuisine, in preparations such as curry. In herbology, the preparations of cilantro are used for their stimulating, antispasmodic and stomach properties. Due to its anti-bactericidal properties, it is used to combat bad breath by chewing the leaves.